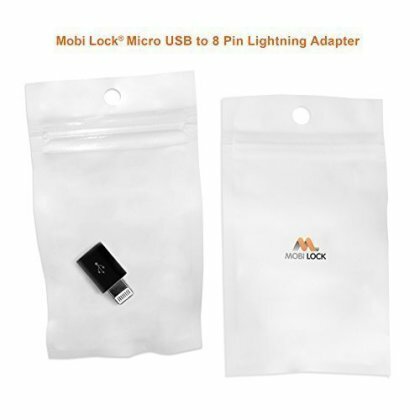 The Mobi Lock® Micro USB to Lightning Adapter allows you to use third-party micro USB cables and chargers to sync or charge your iPhone / Apple devices. Simply plug in the adapter to a Micro USB charger or cable and start syncing and charging your Apple devices such as iPod, iPhone or iPad. Video output not supported. Car media systems not supported.